Obi is our Official Greeter who loves ear scratches and belly rubs. He is very friendly but not very helpful when it comes to helping customers with fabrics as most dogs, he is color blind. Obi writes most of our newsletters and has a small fan following. He joined us in July 2014 & is here every day his Mom, Maryanne, is in. 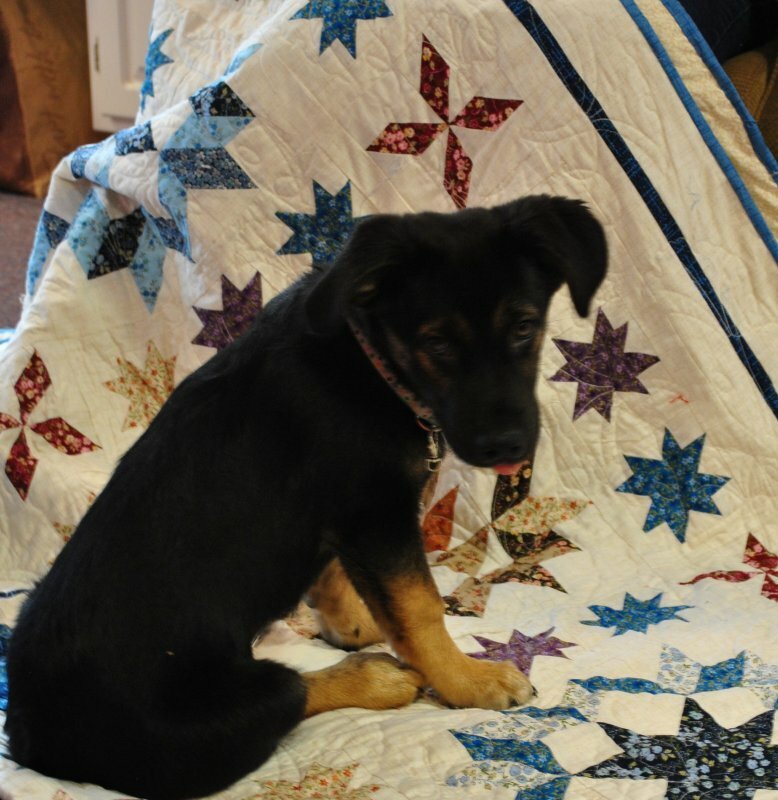 He likes to test out all of the quilt samples Grandma makes to make sure it meets his approval. Obi enjoys being a working dog & often forgets that Sunday is a rest day. He is very good at keeping our customers non quilting companions entertained while the quilters shop.